Ask Eskom! The Best Solution for Any Gas Compression. Eskom screw compressors have capacity and pressure capabilities between those of centrifugal and reciprocating compressors. They handle inlet volume flows up to 142,000 m3/h (84,000 cfm) and discharge pressures up to 40 barg (580 psig). 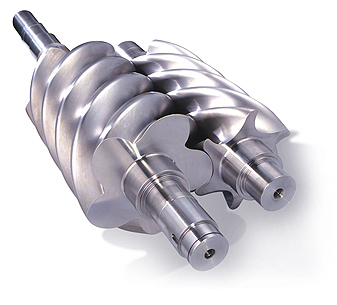 They achieve positive displacement compression using two synchronized, helical rotors. They are smooth-running and are relatively compact. 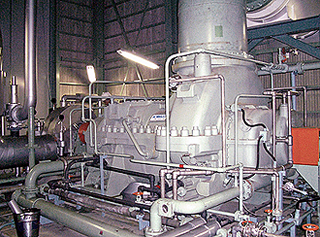 Eskom screw compressors have proven to be an effective solution for air precess. 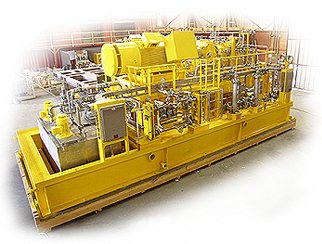 With accumulated experience over 700 sets of oil-injected screw compressors since 1999, Eskom has demonstrated expertise in applying screw compressors for a wide variety of heavy-duty process in gas applications, including oil & gas production, oil refining, petrochemical processing, steel manufacturing, general chemical and energy/power generation areas.